See why 3D World Magazine calls Light Kit Pro 3 an “essential” plugin for Cinema 4D, and gives the new tool a Best in Class 5-star review. Featured among the greatest new things and trends in 3D are both a Light Kit Pro 3 review and tutorial. 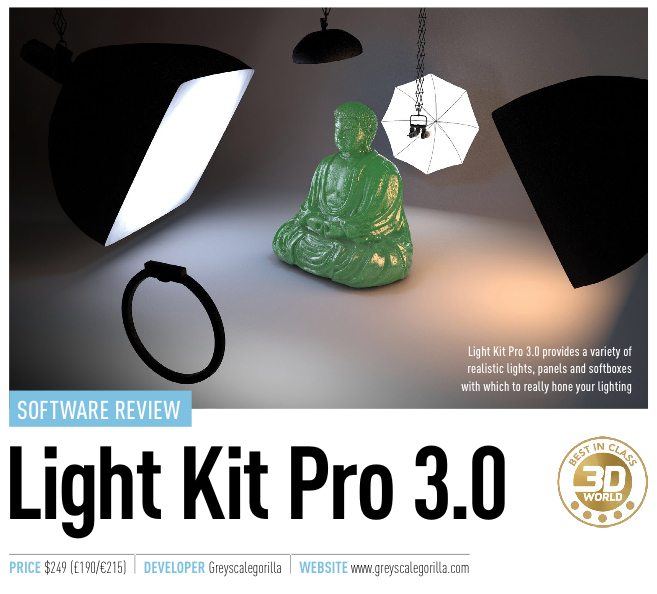 Freelance journalist and CG artist Steve Jarratt tested the new Light Kit Pro 3, and came back with a stellar review and the magazine’s highest honors, a Best in Class 5/5 review. Image via 3D World Magazine. To those readers with copies of the magazine, be sure to flip to the tutorial section, where 3D and visual effects artist Mike Griggs will give you a 3D Bootcamp introduction to Light Kit Pro 3. For those with digital edition, you can tap for a 12-minute walk through with Griggs. You can also find additional Light Kit Pro 3 training here. Thanks to 3D World for the kind words. 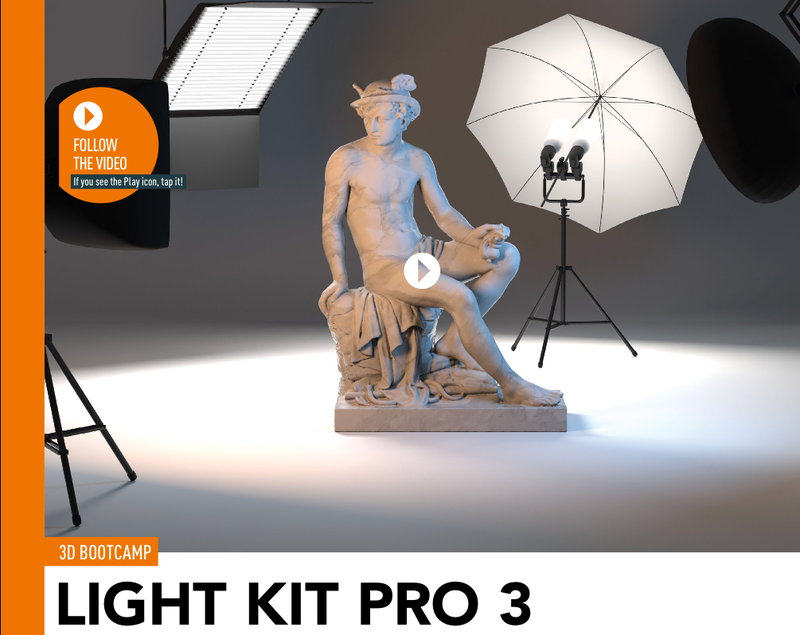 If you want to learn more about Light Kit Pro 3, check out the links below.